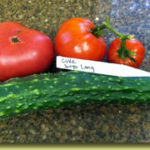 In an effort to encourage EVERYONE to try Heirlooms, I am offering the following “dibs and dabs” to try….most can be grown in containers (no excuses that you don’t have the room!). I’ll be trying them myself, so make sure to touch base and let me know what you think and what interesting things you’ve thought to do with them! They all sound extremely intriguing, so what’s to lose??! 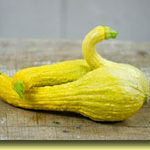 We have some delicious (and often adorable) cucumbers, plus a few squash, this year! I’ve been trellising mine against the house and they really grow great (and take up lots less space too!) I’ve even tried a few in containers which worked reasonably well. Go ahead and experiment! 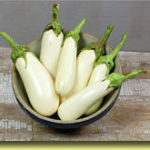 Vining 4″ Pot (50-70 days) This striking Eastern European heirloom produces distinctive light green fruits best eaten when 12-18” long; tender and yummy! 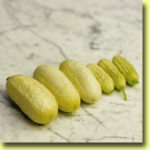 Botanically it is a melon but it tastes tender and crisp and like a cucumber! 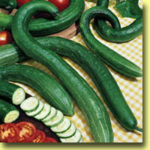 When trellised it will grow straight, otherwise it will curl. 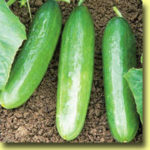 Vining 3 1/2″ Pot (55 days) This one is actually from the Famous Snow Pickle Farm in Rockford, Illinois! (o.k., so it WAS famous in 1905!) 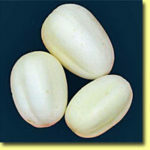 Produces longish skinny fruits (5” x 1½”), thin fleshed and crunchy. 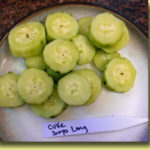 Vining Various (65 days) This is hands-down my absolute FAVORITE cuke EVER! 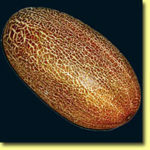 Produces long skinny fruits in abundance that have a very rich taste (no blandness or bitterness!). I would advise peeling them as they have lots of spiny bumps, but you will thank me for recommending this one! 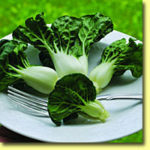 (dwarf – $4.25)I’m not sure exactly what the difference is between “Pak Choy” and “Bok Choy”, but suffice to say this tiny baby is delicious and adorable! 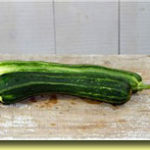 Pick it when just a few inches tall, and use whole in salads or stir fries. 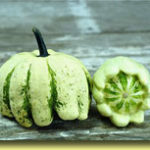 Tender, delicious, and enjoys cooler weather! (30” ht – 65-70 days? 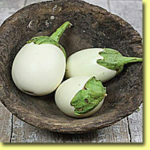 – $4.25) This is the Historic Eggplant grown in France and Europe since at least 1880! 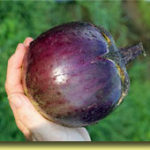 “Early Long Purple” produces elongated fruits, pretty and delicious! 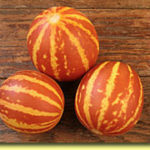 (85 days – $4.25) The Tomato Guru that I always reference, Amy Goldman, is apparently also a Melon Guru! She wrote “Melons for the Passionate Gardener” (which I guess I’m gonna HAFTA buy! ), and this one is a favorite! 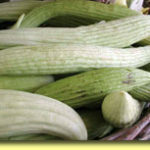 It is an Asian variety that has EDIBLE skin! 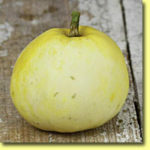 The melons are 3-4”, are crispy and crunchy, and have a high sugar content (are VERY sweet!) I can hardly wait for this one!!!! 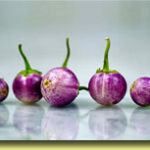 (vine – $4.25)This is a French Heirloom whose name means “Green Climbing”….yes, you can grow this one on a trellis as it has rather small (1-2lb) fruits! 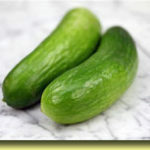 The flesh is green, crisp and juicy; a great keeper too! 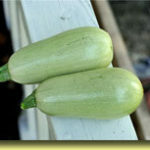 Vining Various (55 days) I do believe that this one is my favorite zucchini…..it has long, slender, beautiful bright golden fruits in abundance on a smaller, compact plant…..mine were always yummy! 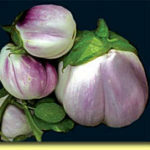 Great in a mix with green or round ones!